The Redskins announced yesterday that they’ve hired Nate Kaczor as their new special teams coordinator. The long-time coach had interviewed with the organization earlier this week. Kaczor had spent the past three seasons in the same role with the Buccaneers, and he previously served as the Titans’ special teams coordinator. 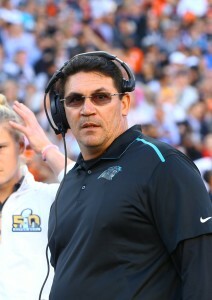 He also had a stint as an assistant with the Jaguars. Prior to his tenure in the NFL, Kaczor spent 17 years in the NCAA, with jobs at Idaho and Nebraska-Kearney. Panthers owner David Tepper told reports that he didn’t want to “make rash decision[s]” on the status of head coach Ron Rivera and general manager Marty Hurney (via Joe Person of The Athletic on Twitter). Ultimately, the owner judge the duo throughout the entire 2018 season (not just the stretch run), and this led to him retaining the pair for the 2019 season. We learned yesterday that the Cardinals added another name to their offensive coordinator search, as former Browns head coach Hue Jackson is scheduled to interview for the gig. A lot of high profile coaches have been rumored to be on the hot seat this year, and while Ron Rivera’s name has certainly been mentioned, his job status has mostly flown under-the-radar. There was a report last week that new Panthers owner David Tepper could consider making “major changes” after the season, but other than that it’s been pretty quiet. Rivera let a couple of his assistant coaches go last week in an effort to help stabilize the crumbling defense, but his own job could very well be in danger. The Panthers started the season 6-2 and were the toast of the league for a while, but have since lost five straight games. While Tepper is patient and has a good relationship with Rivera, if the losing streak continues Rivera very well may be fired after eight years with the team, according to Joseph Person of The Athletic. The team lost to the Browns today, and Cam Newton‘s play has declined sharply after a hot start. Reports this week have indicated he’s been dealing with lingering shoulder pain, which has undoubtedly contributed to the team’s struggles. Cowboys guard Zack Martin suffered a scary looking knee injury in their overtime win over the Eagles, but it looks like he escaped major injury. Owner Jerry Jones said after the game that the team is “concerned” about the injury but that there doesn’t “appear to be any structural damage.” While it’s good news that his ligaments are alright, it sounds like he could still miss some games. Being without Martin for any period of time would be a major blow for Dallas, as Martin is one of the league’s best guards. Colin Kaepernick would be very interested in joining the Redskins, sources told Charles Robinson of Yahoo Sports. Kaepernick has been working out and the sources told Robinson that he’s in the “best shape of his life.” Redskins coach Jay Gruden said the team “discussed” Kaepernick, but wanted someone with more experience in their system. After Mark Sanchez melted down today and the team had to insert Josh Johnson it’s possible they reconsider, but still very unlikely. In case you missed it, the Ravens could move on from John Harbaugh even if Baltimore makes the playoffs. When David Tepper purchased the Panthers for over $2.2 billion earlier this year, he indicated that he was comfortable with the team’s coaching and management situation and was not looking to make major changes. However, Jason La Canfora of CBS Sports writes that Tepper is growing increasingly uneasy with the status quo and has told those close to him that he may need to make those changes after all. The Panthers got out to a hot start in 2018 but have lost three in a row and now find themselves on the fringes of the NFC playoff picture. Tepper is reportedly concerned about the dearth of modern analytics in the team’s operations, and the team’s regression on defense and a few questionable in-game decisions by head coach Ron Rivera have added to Tepper’s worries. 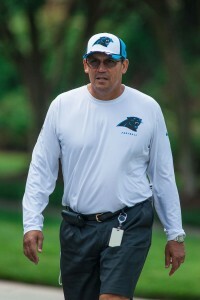 Rivera has served as Carolina’s head coach since 2011, and he has generally been quite successful, having compiled a 70-52-1 record and an NFC Championship. 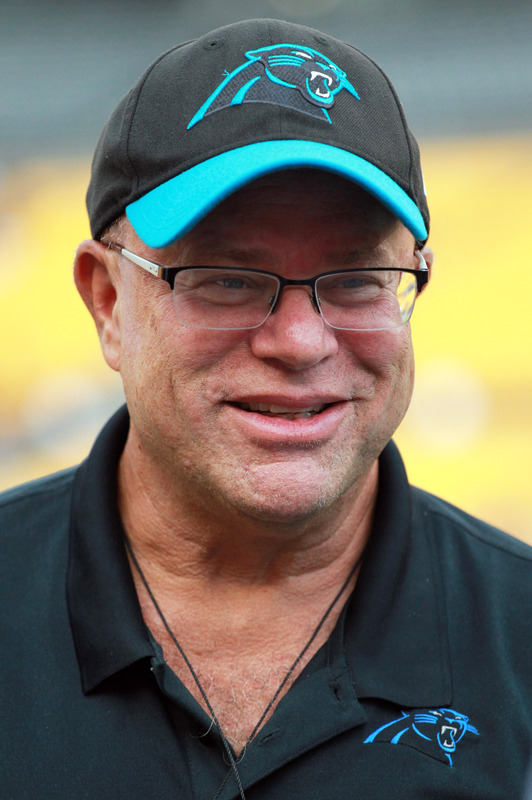 His job security has come into question a couple of times over the course of his tenure, but it was expected that Tepper, a former minority owner of the Steelers, would want to bring the Steeler Way to Carolina. In other words, he was expected to champion the ideals of continuity and stability, particularly with respect to someone like Rivera, who has established a mostly strong track record with the club. GM Marty Hurney, who is in his second stint leading Carolina’s front office, was hired as the interim GM in 2017 and had the interim label removed earlier this year. If Rivera’s status is up in the air at this point, Hurney’s probably is as well. Of course, the Panthers are still more than capable of qualifying for the playoffs and making a deep run, which would probably make all of this a moot point. Jourdan Rodrigue of the Charlotte Observer tweets that Tepper has been consistently communicative with the team’s front office and coaching staff about where they stand, though Rodrigue concedes that much will depend on how the Panthers perform down the stretch. If Tepper does decide to part ways with Rivera, he may have his pick of the top head-coaching candidates. The roster already has plenty of talent, and Tepper himself is seen as bright, engaged, and progressive. The team’s GM position would be similarly attractive for those reasons. La Canfora says that Tepper’s confidants have urged him to remain patient, but it sounds as if Rivera and Hurney could be on their way out if Carolina does not make the postseason. Poll: Who Will Be The First Coach To Get Fired This Season? Hue Jackson, Browns: Jackson is the oddsmaker’s favorite to lose his job first. After compiling a 1-31 record in his two seasons at the helm in Cleveland, it’s hard to argue with the professionals. Jackson certainly has more talent to work with thanks to the arrivals of running back Carlos Hyde, wide receiver Jarvis Landry, and a vastly improved secondary, but along with that comes raised expectations. When also considering that Jackson is a holdover from the previous regime and not necessarily the preferred choice of new GM John Dorsey, it’s quite possible that Jackson could be ousted with another bad start. Adam Gase, Dolphins: When Gase was hired in 2016, he was the league’s youngest head coach at the age of 38. He earned a playoff appearance in his first year on the sidelines, but last year turned ugly after quarterback Ryan Tannehill was lost for the season and replaced by Jay Cutler. Tannehill’s return should help matters, but it’s fair to wonder whether this team has improved much at all after losing Ndamukong Suh on the other side of the ball. The Dolphins’ early schedule may also hurt Gase as they open against the Titans, Jets, Raiders, and Patriots. It wouldn’t be a surprise to see the Dolphins split those games, like they did in 2017, but it’s also conceivable that they could open the year 0-4. As you can probably guess, an 0-4 start is historically difficult to climb out from. Of the 117 teams that have started 0-4 in the 16-game era, the ’92 Chargers are the ones to have reached the postseason with with an 11-win campaign. The 2004 Bills and the 2017 Chargers both rallied to win nine games, but neither club reached the playoffs. Marvin Lewis, Bengals: The Lewis saga took some weird twists and turns last season. In the midst of a second-straight season without a playoff appearance, there was speculation about Lewis’ job security. Then, in December, we started hearing rumblings that Lewis might leave the Bengals to pursue opportunities elsewhere. Ultimately, Lewis was signed to a two-year extension to, theoretically, keep him under contract for his 16th and 17th seasons in Cincinnati. Lewis has avoided lame duck status for 2018, but there’s no guarantee that he’ll survive the year if the Bengals falter. Vance Joseph, Broncos: Joseph was nearly axed after the 2017 season before John Elway ultimately decided to retain him. The Broncos’ defense is still jam-packed with talent and they have a capable quarterback in Case Keenum, so anything short of a playoff appearance will be a disappointment in Denver. This will be Joseph’s second season at the helm in Denver, but it’s clear that he is under pressure it win. Dirk Koetter, Buccaneers: Koetter was already believed to be on the hot seat but he was placed squarely behind the 8-ball last week when quarterback Jameis Winston was suspended for the first three games of the season. Even if the Bucs come out of September unscathed, they’ll be up against an overall schedule that is the fourth-toughest in the NFL, based on the combined win percentage of opponents in 2017. The list goes on from there. Jay Gruden (Redskins), Todd Bowles (Jets), Bill O’Brien (Texans), Jason Garrett (Cowboys), John Harbaugh (Ravens), and Ron Rivera (Panthers) could also be in varying degrees of jeopardy with disappointing seasons. We’d be surprised to see a quick hook for Garrett, Harbaugh, or Rivera no matter what happens, but you may feel differently. Click below to make your pick for who will be the first to get the axe. Then, you can head to the comment section to back up your choice.